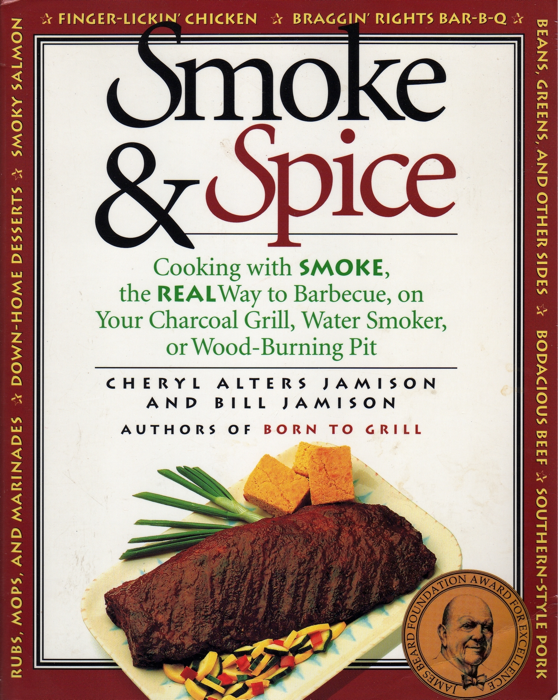 Smoke & Spice, by Cheryl Alters Jamison and Bill Jamison (authors of Born to Grill), was my first ‘cue cookbook that I got when I bought my first smoker (that has long since succumbed to the salt air here at the beach), but it’s the book I cut my teeth on for barbecue, smoking and cooking outdoors. 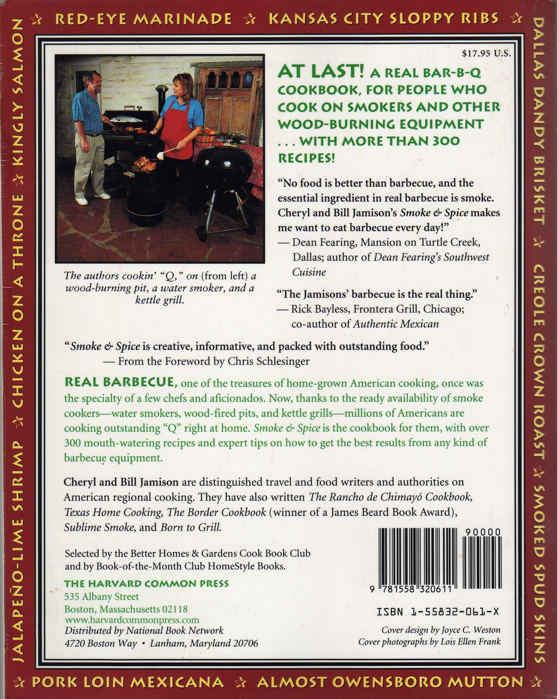 At over 400 pages, this book is a Bible for smokers and backyard cooks! Click here to order your own copy. Success… You’re welcome. It’s a great book. Excellent for the beginner or the experienced smoker.